In this article we introduce 5 smart home devices that work with Alexa. Alexa is a virtual assistant developed and released by Amazon. It has a high range of functionality, responding to over 30,000 skill prompts. There have been several complimentary tech releases for Alexa and below are a few of those smart home devices! SharkNinja Shark Ion 750 Connected Robotic Vacuum. (RV750) Used for regular automated cleaning of indoor floor surfaces, the RV750 weighs 5.51 pounds with 12.6*12.6*2.6 inch dimensions. It has the following features; Seamlessly connects with Amazon Alexa to enable voice commands. A self-grooming brush roll made from high-tensile, helix-patterned bristles that effectively collect string, hair, fibers, dust, and other allergens. Long-life lithium ion battery that can handle over an hour of continuous activity. Dual spinning side-brushes for cleaning corners and edges. Smart sensors coupled with proximity sensors that enable effective navigation of different environments. 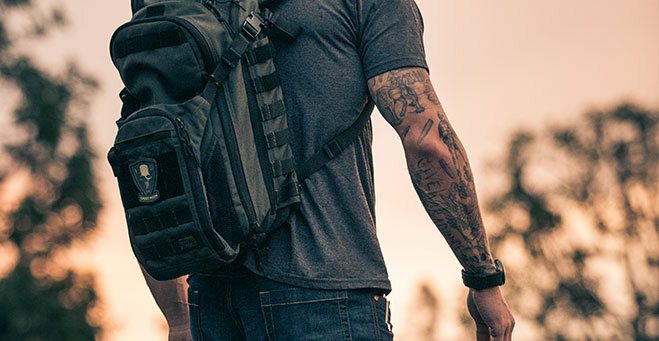 Low-profile, sleek design that enables maneuverability under furniture and tricky terrain. Easy to empty dirt collection bin. Automatic return to charging dock and automatic resumption of cleaning. Automatic application alerts in case of difficulties. Wi-Fi connectivity. Included in the sales price are a cleaning tool, one filter, 2 bot boundary connectors, one lithium-ion battery, 2 side brushes, a charging dock, a 9-foot-long bot boundary and a warranty subject to terms and conditions. Online customer reviews have given it a 4/5 stars rating and it is priced at $289.98. 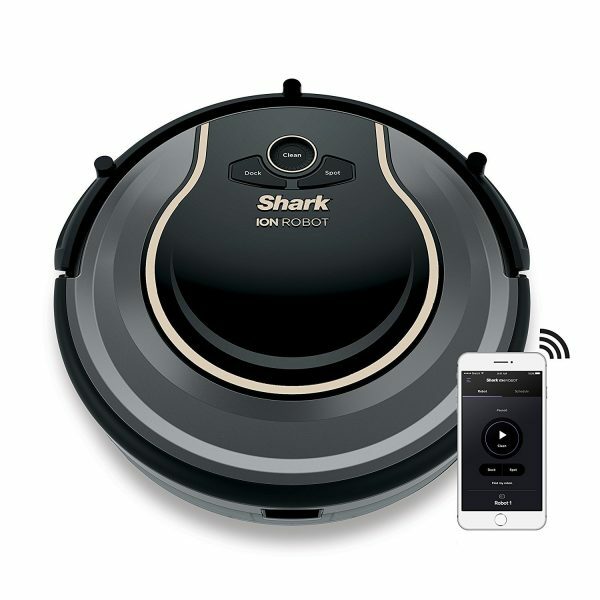 This means the SharkNinja Shark Ion 750 Connected Robotic Vacuum gives high value for money while delivering excellent results. 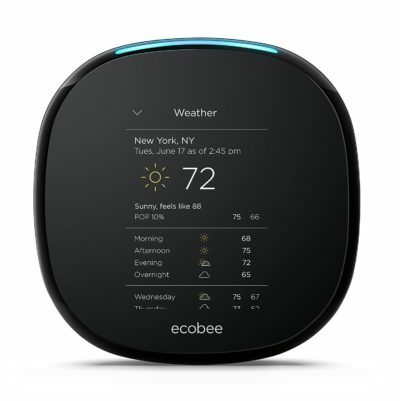 Ecobee4 Smart Thermostat with built-in Alexa and room sensor. This Wi-Fi smart 7-day programmable touchscreen thermostat that regulates temperatures, alleviates hot or cold spots in a room and saves up to 23% per annum on heating costs. It comes with; A 3.5-inch touchscreen display. Easy 30-minute self-installation. Alexa build-in with far-field voice recognition microphones and high clarity speakers. Compatible with most smart-home ecosystems: Apple Home kit, Microsoft Cortana, Samsung Smart Thing, Wink, IFTTT, Google Assistant and Amazon Alexa. Compatible with most home HVAC systems including Heat pump (4H/2C) with 2-stage auxiliary heat, conventional (2H/2C), oil, gas, electric and dual fuel support. Utilizes external weather data, advanced sensing, and intelligent algorithms. Supports accessories, from dehumidifiers, ventilators, HRV or ERV, and humidifiers. Highly sensitive room sensors that continuously monitor internal conditions and maintain an optimum. Can be controlled by Android and iOS mobile devices. 3-year warranty. Customer reviews have given it a rating of 4/5 stars and it is priced at $240. This is easily one of the top devices out of our five smart home devices that work with Alexa. Smart Plug Mini Outlet Compatible with Amazon Alexa and Google Assistant. This well-built, durable, and remotely controlled outlet comes with; Remote control ability from Smart Life mobile and desktop applications. Smart technology socket with schedule and timer functions. No hub requirements. Classic white color. 4 pack with options to upgrade. Voice control capability with Google Home Assistant, IFTTT and Amazon Alexa. Wi-Fi enabled. Easy home set-up. Guaranteed quality with FCC, ETL approval. All products come with 24/7 customer service and technical support. Updatable firmware. 12-month warranty. This smart home device that works with Alexa is a ground B-US style plug weighing 8.8 ounces. It is circular in shape, 1.18 inches thick and 2.2 inches in diameter when assembled. It has 4.4*4.3*2.3 inch dimensions. The specs are; Max power: 1100W-2200W. Rated current: 10A max. Rated voltage: 100-240V. Working temperature: 10-60 C. Wi-Fi requirements: 802.11 b/g/n 2.4GHz Wi-Fi. Compatible with Android 4.1 and higher or iOS 7.0 and higher. It provides additional functionality for those with mobility issues and adds convenience for those without. 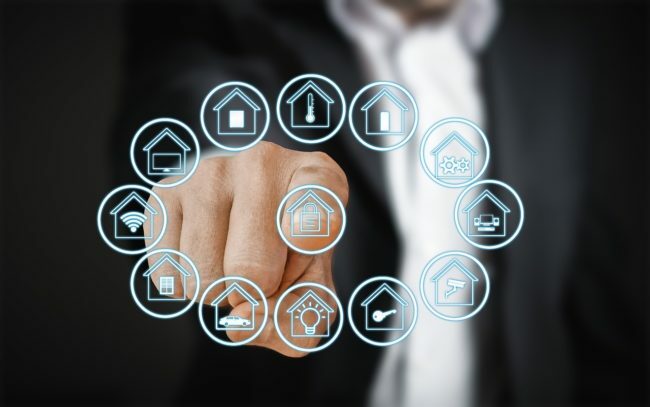 It can be used to automate security rights, coffee makers and any other electrical device connected to it. It effectively helps save on costs. It is priced at $39.99 and has a rating of 4.5/5 stars. 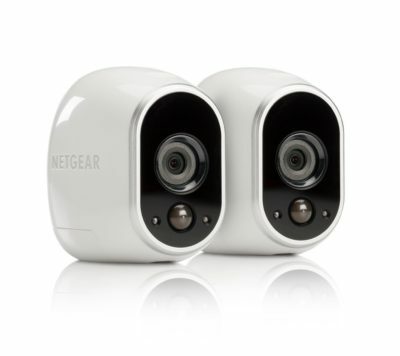 Arlo Security System by NETGEAR. This security camera configuration has the following characteristics; 100% wire-free design for free-range and effective placement. Works seamlessly with separately sold Amazon Alexa. Indoor and outdoor weather resistant cameras. Upgrade option to Arlo Pro. 2 motion-activated cameras with mounts. Sleek and seamless design. Records when activated and saves data on 7-day secure storage clouds. This requires constant internet connectivity to function. Live video streaming ability. Operating temperatures from 0-50 degree Celsius. High Definition video capability and night vision. Support for up to 5 cameras and can have an independent base unit set up. Auto Smart application augments operations giving the option of customization alerts specific to people or areas (optional). Can send email or application notifications and contact emergency services from phone lock screen (optional). It weighs 2.2 pounds, requires 2 lithium batteries and has 9.9*9.6*7.9 inch dimensions. It is priced at $200.99 and has a 3.7/5 rating. GE Z-Wave Wireless Smart Lighting Control Outdoor Module. Offering total control over all types of outdoor lighting, this smart home device that works with Alexa has the following main features; Seamlessly syncs with Alexa and other Echo products via an Alexa supported hub. Incompatible with Echo Plus products. Enables wireless control of outdoor appliances and lighting from smartphones, tablets, PCs and compatible remotes. These appliances and lighting include but are not limited to; pumps, fountains, seasonal lights, landscape lighting. It can be used for on/off or scheduled specific events. 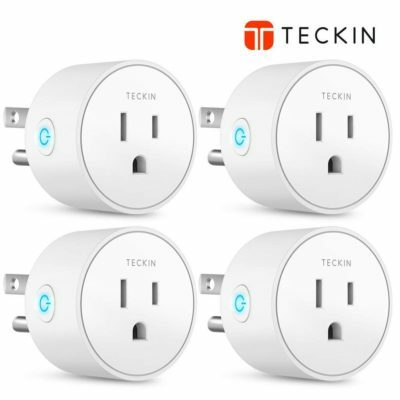 With an additional Z-wave certified gateway it is compatible with Smart Things, ADT, Pulse, Trane, Nexia, Iris, Connect, Harmony Home Hub Extender, Homeseer, Honeywell, Vivint, and Vera. Allows manual push-button control. 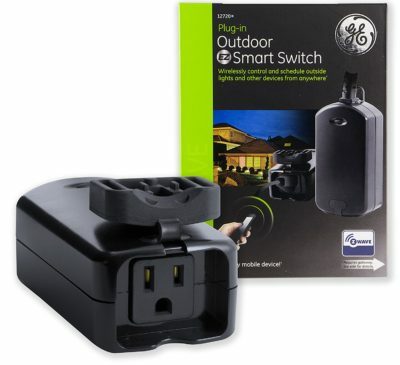 Comes with a Z-wave enabled outlet protected from the elements by an integrated outlet cover. Has weather and impact resistant housing that should not be exposed to direct rain or submerged. Black stylish finish. 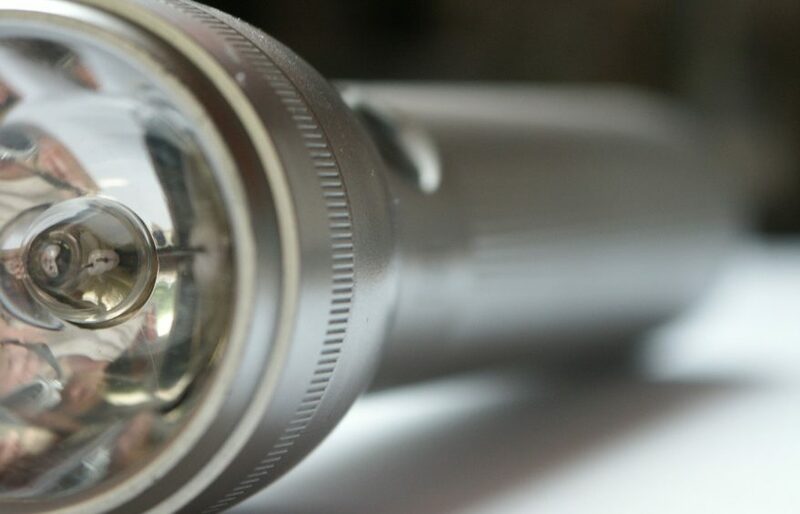 Compatible with LED, incandescent, halogen, xenon, fluorescent and CFL lighting. Repeats Z-wave signals up to 100 feet to increase range and ease of use. This GE Z-Wave Wireless Smart Lighting Control Outdoor Module weighs 11.2 ounces, is rectangular in shape and has an 80-watt wattage. It increases the efficacy of a smarthome system and saves on energy costs. It also boosts home security by making security lights activation automatic. It is priced at $33.47 and has a 4.5/5 rating. In conclusion, we believe these are the top smart home devices that work with Alexa. Alexa has transformed the home ecosystem in ways that are revolutionary. A smarthome can be tailored to its occupants’ needs while keeping costs at a minimum. These products are pocket-friendly, cutting-edge and have received shining reviews from users. In tandem with Alexa, these and make the home more comfortable, safe and convenient.